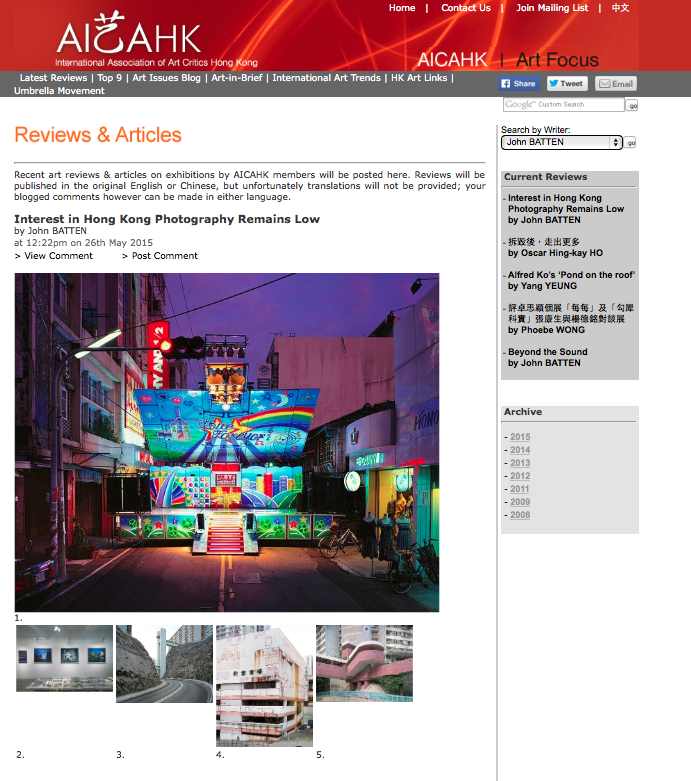 "Interest in Hong Kong Photography Remains Low"
For those who may have interest in global photography scene, here is an article by Hong Kong art critic John Batten on the current status of Hong Kong photography. Also mentioned a bit about The Salt Yard, the art space deidcated photography I co-found, as well as "BLOCKS", the exhibition I staged last October. dustin shum〡photographer Blog "Interest in Hong Kong Photography Remains Low"